ICYMI, graphic novels are pretty epic. They combine everything amazing about a novel with the best bits from comic strips into one entirely awesome package. Graphic novel novice? No fear. Allow us to introduce you to a super sweet series: Justice's UltraSquad. 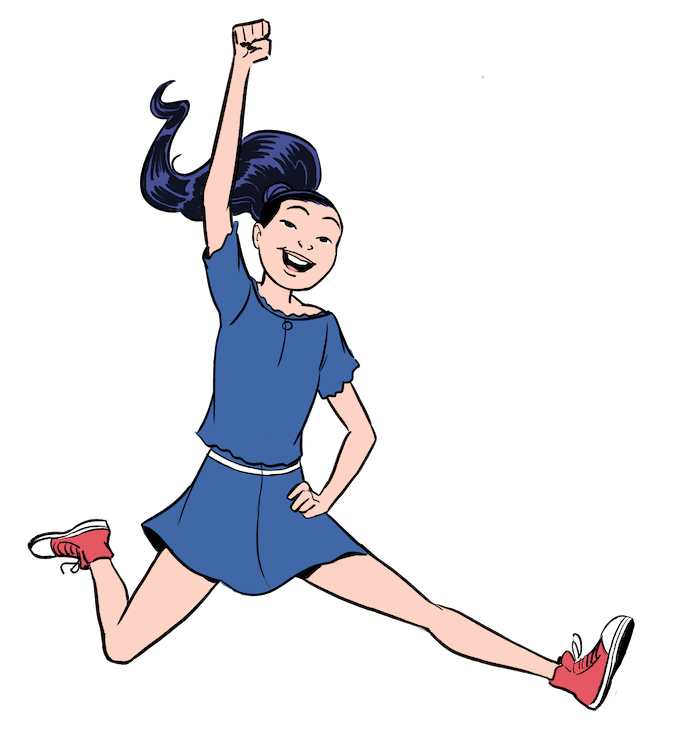 These rad reads (the series has two books thus far) follow four fab friends—Posey, Anna, Lyric and Sky—after they find themselves part of the Secret Inter-GIRL-actic Team with new Ultra-Super-GirlPowers. What does that mean? These girls are fab and fierce, and they have the power to make a real difference in their world (just like y-o-u). Instead of slumbering it up, the girls stumble upon their doppelgängers and things get weirder than weird when they find themselves in an alternate universe being bullied by a Strangebow (aka a strange rainbow). Watch the trailer below for more Ultra Squad: Adventures Under the Strangebow deets. The talented Posey has a passion for acting and fashion, especially when sequins and glitter are involved. (Same, Posey—same.) She's a sucker for anything vanilla-scented and, as you can tell from her lewk, she's pretty obsessed with pink. Anna is never not bouncing off the walls. 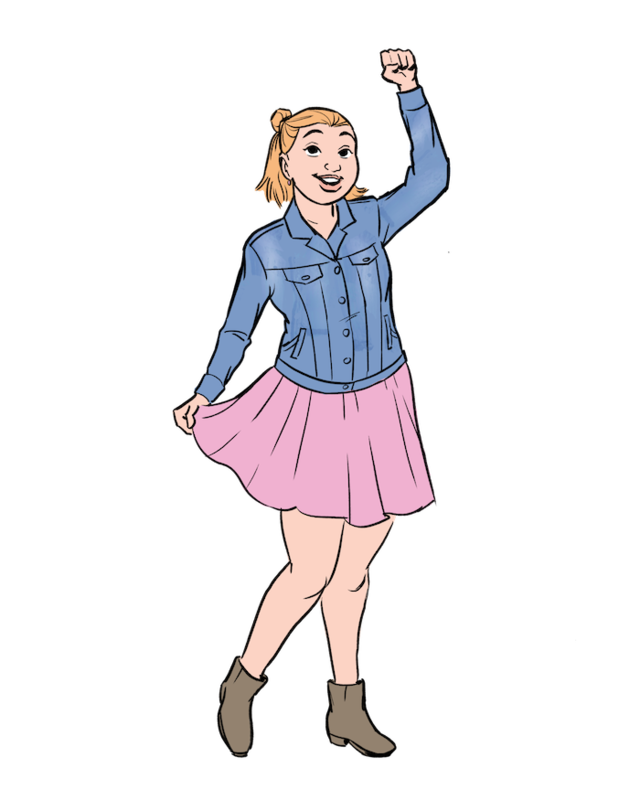 This gymnast loves to stay active, and sweat seshes are *definitely* her thing (especially if it's a game of lacrosse or a rock climbing session). But the real way to her heart? Buttery delicious popcorn—her fave! Lyric is what we like to call a music fiend. She's gotta be listening to something 24/7, and she can't go a day without strumming her guitar or writing a poem or two. 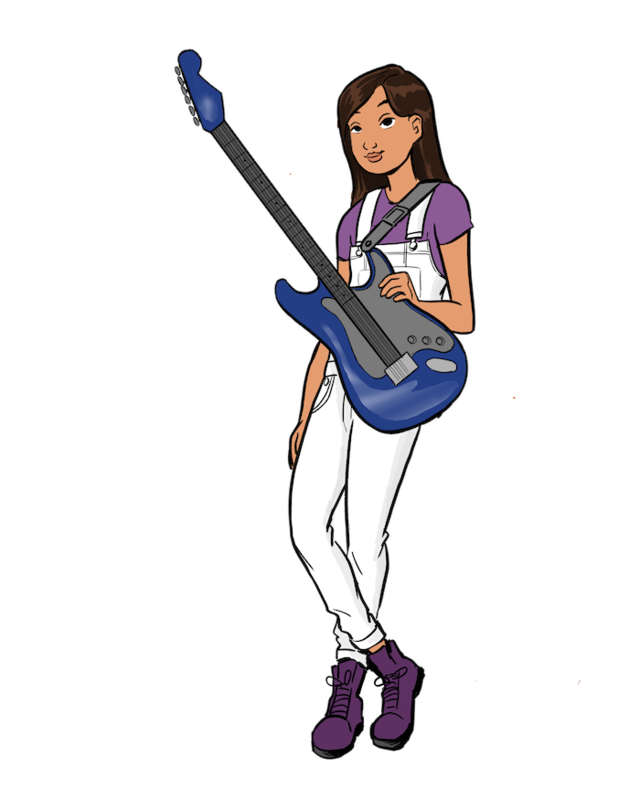 When she's not crafting cool songs, you can find her volunteering at the dog shelter or noshing on her fave snack: chips. Sky is never not plugged into technology, and she loves science experiments (*especially* making slime). 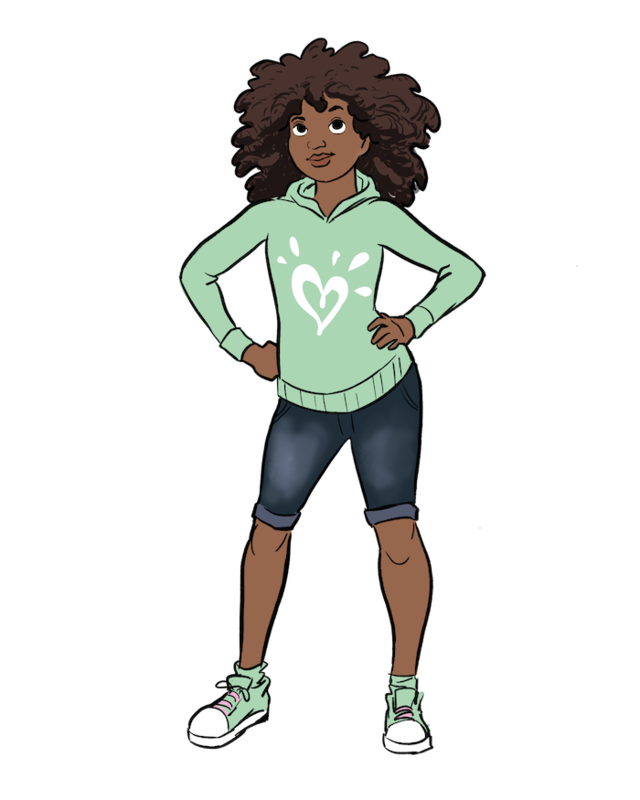 This STEM girl also has a sweet tooth: Her fave snack is sour gummies, and she's all about sugar cookie-scented everything. Want to get more deets about this fab foursome straight from the source? Meet author Julia DeVillers on the Ultra Squad: Adventures Under the Strangebow tour. Snag your copy! 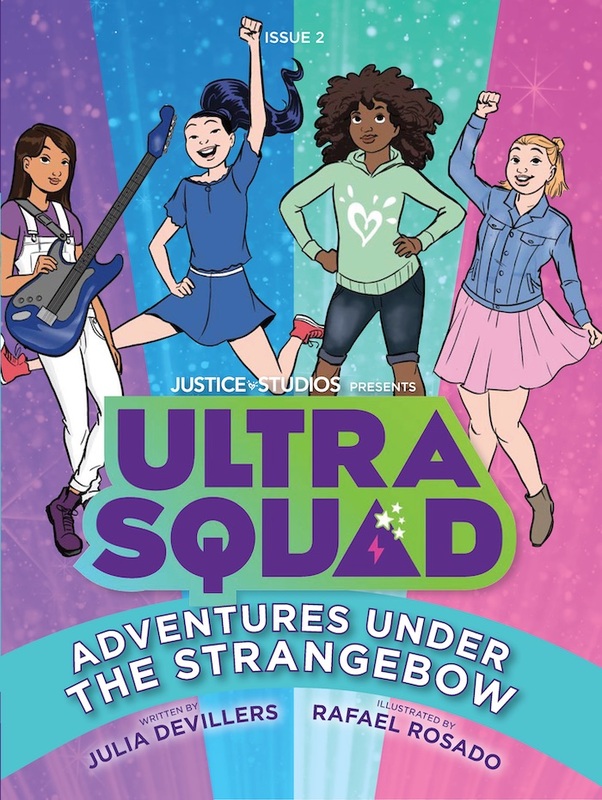 Ultra Squad: Adventures Under the Strangebow is available now in Justice stores everywhere and online HERE.